Hello friends! I must say, I was SO encouraged by the response to Part I of this post series! Thank you all so much for reading and discussing. It does my Poldark fan heart good :) That said, I'm excited to share Part II with you! Check out the first post linked above or here if you missed it. 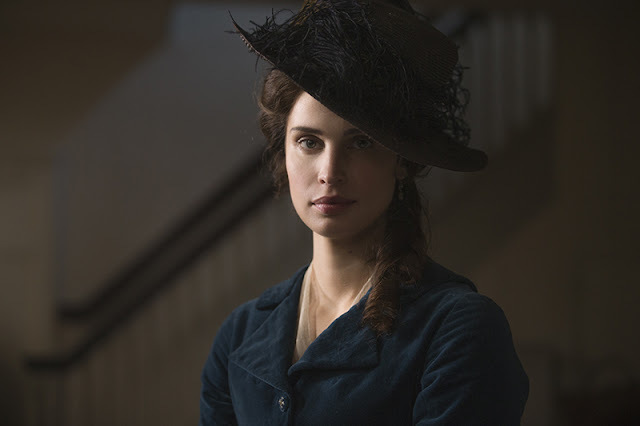 As I mentioned before, when I began writing about the complicated character arc of Elizabeth Poldark, I quickly realized the content would be better suited to multiple posts. Like her or not, you can't deny that she's quite layered and discussable! 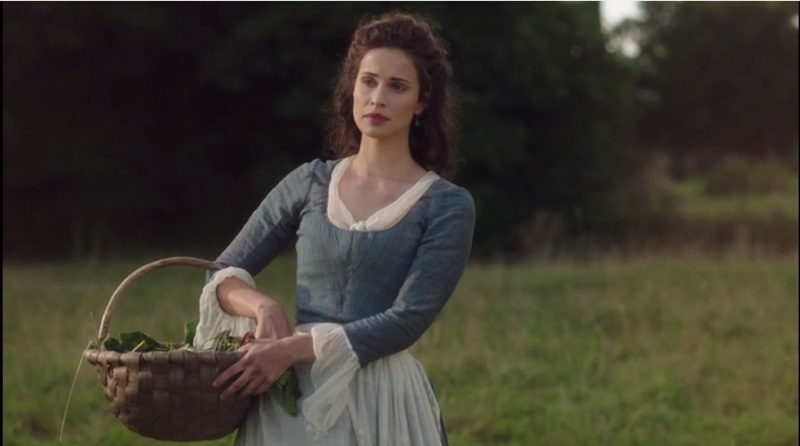 My first post focused on the earlier days of Poldark – Elizabeth's decision to marry Francis, their ensuing unhappy marriage, and Elizabeth's resilience through it. She certainly isn't faultless in these early years, but I contend that she deserved better from the beginning. Francis thoroughly failed her in his role as husband and I don't blame her for feeling unhappy, trapped, and frustrated. She's a poster girl for her time period – always polite, mannerly, and betraying no strong emotion even when her mind is whirling. It was what she was raised to do and also what her practical nature demanded. As previously established, Elizabeth is almost always putting on a show. Unlike the free-spirited and passionate Demelza, Elizabeth keeps her true emotions under wraps and hardly ever says what's really on her mind. As I’m sure we all know, constantly putting on a show is exhausting. And if you do it long enough, you’ll almost certainly become a very confused and resentful human being. That’s what we see happen to Elizabeth, and it’s at the crux of why I find her such a tragic character. Her society and upbringing literally taught her that she needed to put on that show all the time, and she handles it with admirable forbearance at first. But in the process, she forgets how to be honest with herself and many others, and bitterness blooms in her heart at the same time. Elizabeth’s failing in the early days is that she holds onto whatever emotional intimacy she can get with Ross without seeming to accept that they shouldn’t interact in such a manner. It feels natural for her to go to him with sensitive things because her husband is such a loser, but she isn’t honest enough with herself to accept that what she’s doing is unfair to everyone. But the show emphasizes that things are changing when Ross makes an uncharacteristically emotional display of his love for Demelza as she lies near death of putrid throat. Seeing that, Elizabeth realizes that she no longer holds his heart like she used to and that doesn’t sit well with her, even if she can’t verbalize it right away. That’s certainly the moment in the show that her character slowly begins to shift, and while it’s not as obvious in the books, the putrid throat scare and little Julia’s death are still contributing factors. Elizabeth is undeniably grateful to Demelza for saving Geoffrey Charles from the illness and I think she also initially harbors deep guilt over Julia's death. Her desire for reconciliation with Demelza and Ross is sincere, but she also liked knowing that she had a place in Ross’s heart and doesn’t want to let go of that. I think that’s partly because Francis had so thoroughly failed as a husband up to that point and partly because resentment is starting to build in Elizabeth since she’s taken so much grief so far. Julia’s death puts a strain on Ross and Demelza’s marriage, so it’s easy for Elizabeth to start trying to win back Ross’s infatuation. I’m not even convinced she’s aware of it at first, but the dinner Ray Penvenen’s house is where it takes a serious turn. It’s there that she tells Ross that she had always loved him, even after marrying Francis. This of course throws Ross into confusion that he doesn’t easily shake. But even so, I’m not convinced these seeds would have grown significant if not for the tragic turn of events in the middle of season 2 and partway through book 4, Warleggan. Francis’s death is perhaps the cruelest blow for Elizabeth thus far. Earlier on, his failed suicide made him realize that he could turn his life around if he made the effort, so he does. He becomes the husband and father he wanted to be, reconciles with Ross, and apologizes to Demelza in one of the most moving scenes in the books and show alike. So then, his accidental death is unquestionably “the bitterest irony,” as the author so eloquently notes. Grief weighs Elizabeth down even more, and her resentment grows deeper. Even after the dinner at Mr. Penvenen’s, Francis was doing an admirable job of repairing their relationship. But after his death, she feels helpless, confused, and alone, and despite the genuineness of those feelings, she uses them to her advantage where Ross is concerned. Ross is maddeningly weak-willed when it comes to Elizabeth (more on that later), and when she’s free to marry again, his fantasies over her gain new traction. I think Elizabeth finds satisfaction in that because she’s weathered so many past disappointments and now grief that she never expected. She justifies his attentions with her difficult circumstances (and they certainly are difficult) even though she inwardly knows they’re wrong. But she rationalizes them anyway with thoughts along the lines of, “Well don’t I deserve something that I want after all I’ve been through?” And I believe that line of thinking contributes heavily to the awful night at Trenwith after she writes to Ross that she’s going to marry George Warleggan. Both of these plot lines are obviously closely tied, so one at a time. And she should have known better because she knows how he’s tried to ruin Ross’s life despite her attempts to deny it to herself. Desperation has simply driven her to thinking that she can maybe fix the things about George that are less admirable. And her confusing feelings toward Ross also contributed to the decision. At first, Elizabeth knew it would set Ross off and likely make him protest, which he certainly did with disastrous results. But then later, when Ross didn’t return after the night at Trenwith, anger and resentment toward him fueled her to go ahead after some hesitation. All of these are obviously terrible reasons to marry someone. 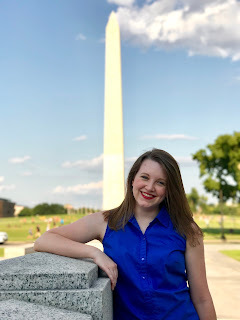 Beneath all the confusion and wrong motivations, Elizabeth still feels backed into a corner, as any woman would have in her situation back then. So objectively, she would have been a fool to turn down someone with George’s resources, but subjectively, there were reasons that should have perhaps made her pause. And of course, all of her complicated feelings toward Ross encompass a big reason that Elizabeth should have paused. She rightly supposes that he will loudly object to the marriage and cherishes some hope that it could lead to something more between them. And of course he does object, but she’s hardly prepared for just how loudly. Upon reading her letter with the news, Ross reacts somewhat like this, practically transforming into some fiendish alien. And a truly outrageous display of temper, selfishness, and vulgarity on his part ensues. Elizabeth is certainly not to blame for Ross’s utter desertion of reason and control on the night of their affair. There’s no doubt that he was the instigator of that night – he kicked in a window (door in the show), pushed into her room, picked the argument like a petty schoolboy, and ultimately used physical force with her in his anger. But it’s still clear that Elizabeth had wanted a reaction and some declaration of love from him. Ross of course just childishly takes the bait and then leaves a far larger problem than she’d pictured in her fantasies. 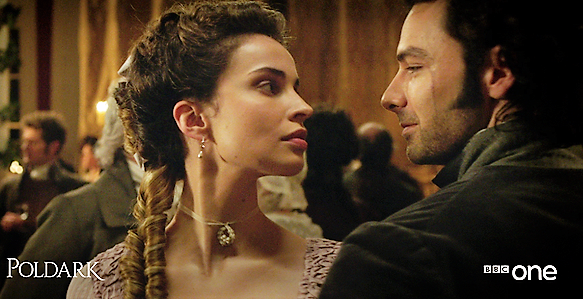 Elizabeth and Ross (Heida Reed and Aidan Turner) in Season 1. I've heard it said that everything starts with a thought, and there were certainly way too many entertained thoughts in both of them for a long time. In other words, Elizabeth knew by the end of that night that she had wanted this, and it was her last-ditch effort at getting something she wanted after so much disappointment. It was the explosion of years’ worth of pent-up frustration and unsatisfied feelings. But her perfected art of putting on a show had also made her forget how to be honest with herself, so both before and after that night, I think she was chasing the fantasy of being with Ross and not thinking rationally at all. What does she want? Well, maybe for Ross to come to her and suggest they go away together, for Demelza to wish them happily ever after, for all her problems to magically disappear, etc. So, nothing realistic. And if it were to come down to it, I don’t think Elizabeth would ever actually go away with Ross – she’s too much of a pragmatist. But happiness has always been elusive for Elizabeth and she can’t help hoping something will change, and after she and Ross sleep together, it’s natural for her to expect something from him. Some clarification, some apology, some next step. He left her in the morning with nothing but a weak “I’ll be in touch” adieu, after all. If Ross had been single, the appropriate thing to do in that time period would have been to marry Elizabeth, so it makes sense for her to expect something. But Ross gives no such thing, thereby grossly insulting everyone affected by the affair. And here we come to the crowning tension. As much as Elizabeth is to blame, I've still found myself frustrated with Ross far more often than I am with her. For whatever reason, he always goes weak at the knees around her and it's positively galling after the first several books. He and Demelza have been to the edge of the cliff and back again after losing Julia, Demelza's struggles in becoming proper Mistress Poldark, Ross's many scrapes with the law... and on and on. But he still can't seem to get it through his thick head that Demelza is better for him in every way. This is where we'll pick up next time – Ross's undeniable part in all the problems involving Elizabeth. Many fans lay all the blame at Elizabeth's feet, but I think that does gross injustice to her. So stay tuned! What are your thoughts on the events discussed in this post? How did your opinion of Elizabeth change once the drama of the middle books and Season 2 began? I'd love to hear! I hate that she married George! Yes, poverty loomed but she and her family were still so much better off than many. I'm on The Stranger from the Sea (book 8) so I'm sure my views are shaped by her actions after Season 2. I really can't stop reading them so I'm going to go ahead and read them all! George is just so evil. It's hard to find any redeeming qualities. Elizabeth was beautiful and educated. I just wish she could have found someone else. They married quite soon after Francis' death. But the story wouldn't be very interesting or realistic if everyone was good and kind! Her marriage to George was certainly not the wisest choice, but at the same time, I can't say I entirely blame her. I really did feel bad for her as I read the books. She felt cornered and so uncertain of how she and Geoffrey Charles would be provided for, a very legitimate fear for that time period! And even though I hate George, again, I still don't think he's entirely one-dimensional. He really does love Elizabeth very much and I think they'd actually do quite well together if he wasn't always scheming! Super appreciative of your deep thoughts into the ever thought-provoking Elizabeth. So many people are so quick to say that they despise her, and for what? By and large, it's simply for having a dark shadowy corner of Ross's heart, from long before he met Demelza. I do believe every other reason that those that hate Elizabeth give are sheer excuses. She is hated for being a threat to the holy ship of Romelza, and is therefore not to be given compassion or anything else short of contempt. Just for example, so many fan can sympathize with other characters that participated in infidelity (Dwight and Karen, even, and later Demelza and Hugh), but because this is Elizabeth... nope, no empathy. She gets all kinds of labels. And I truly do not believe Elizabeth was expecting Ross to come to her bed. He wore her down. Were he to have heeded her initial requests (first to meet her downstairs, then to please leave) it surely would never have happened. I could write a book on it, myself. But again, thank you. I'm so glad it's not just me, Charlotte! It's super encouraging to have support, haha. It annoys me too that so many fans have such focused contempt for Elizabeth. I love Ross and Demelza as much as the next fangirl (they're my favorites, honestly! ), but the fact remains that Elizabeth and Ross simply have a history that neither of them can help, and they're both to blame for how they allow that history to interfere with how they move forward with their respective spouses. I don't see how Elizabeth deserves any more criticism than Ross. I agree that Ross wore her down - I see that both on the night itself and in the days leading up to it. How was she supposed to interpret all of his attention after Francis died? And you're so right to mention the empathy people seem to have for all the other characters who commit infidelity. 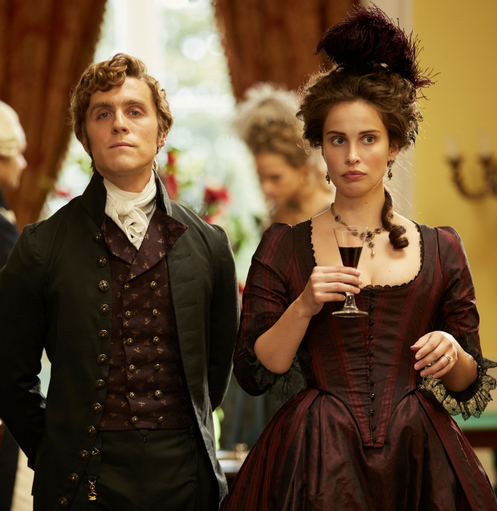 People have all sorts of excuses for Demelza when she slips up with Hugh, but when it comes to Elizabeth and Ross, Elizabeth is always the despised one. Makes no sense to me! And I don't understand how anyone can watch how Francis treats her for most of their marriage and not feel pity. That would drive any woman into despair! Anyways, I obviously could write a book too, haha :) Thank you for your thoughts! Dude, yes! I've never ever understood all the hate that Elizabeth gets. Naturally, I'm also a Romelza shipper (as is everyone, I swear! ), but to me, Elizabeth adds such beautiful tragedy and complexity to the whole picture. I cannot hate her for it. Who wouldn’t want Ross? I love it all. Ross being torn, Demelza later also being torn (with Hugh, of course), and Elizabeth just there floundering, trying to do her best. Her marriage to George was nothing but a practical choice. Surely she was as gorgeous as they come, and from a good family, but I don't believe Ross was entirely accurate with his statement, "you could have your pick of thirty men." He was blinded by his affections. To me, Elizabeth had precious few options. For all her good qualities, she also had a heap of debts left to her by Francis. Not to mention the extra ‘baggage’ of her own child, and in the books BOTH of her ailing parents, as well as now Agatha to look after, and an estate in dire need of attention of funds. She was also in her late twenties by then. And while not 'old' by today's standards, she was teetering on that edge by 1700's standards. George was likely the very best option she could manage. Plus, in her mind, since Francis' death George had very much become fond of Geoffrey Charles (despite that having been a ruse), and promised to make him his heir. Again a bit of a ruse, but Geoffrey was her beloved, and how could she not accept that? For him? She was too trusting in George, and now I do believe she sees it and understands it, and that’s why she’s self-medicating. It makes me sad to see what the show is doing to her as a character. But when I look at it through Debbie Horsefield’s lens, what choice did they have, other than to purposefully make Elizabeth a villain? If she had remained the demure and sweet (albeit flirty) Elizabeth of the first two seasons, boy would that have made Ross look like a horse’s @ss. In my mind, the Elizabeth of the series was sacrificed at the altar of ‘hero’ Ross Poldark. And it makes me so upset. Agreed SO many times over! As the book emphasizes so well, she saw an immediate solution in George's offer. She clearly trusted him too much, but you're totally right - what other choice did she have with all the problems she was facing? Debts, ailing relatives, a son she adores but who has no future... I can totally understand her thought processes. Even now I can't see her as a villain through and through even in the show. I think the show still mirrors the books pretty well. In both, I think she just becomes totally embittered with life, and as this post series keeps saying, I just think it's so tragic. Her hardness comes out especially in the way she won't stand up for Morwenna in the middle books, I'd say. The way she handles that did make me angry at her, but there's still no denying that she's had quite a few hard knocks. And there are real people like Elizabeth who let that happen to them, so I think there's much to be gleaned from watching her journey. So glad there are other people out there who can find sympathy for her as well! I often feel like a loner, haha!